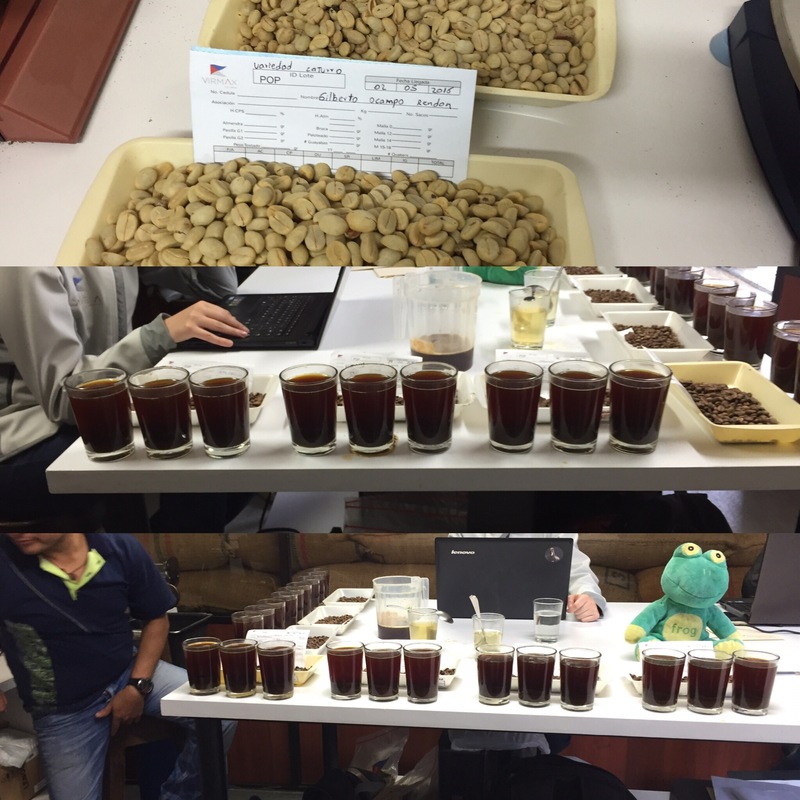 While traveling with Caravela we were fortunate to get an insider’s view into the Quality Control assessment they do, for coffees to be selected by them. What follows is what we witnessed at Gigante, near the home of Edilfonso Yara and Jaimie Casallas. We then did the process ourselves in Pitalito near San Augstin. Farmers bring the bags of parchment it is weighed. Then they take a sample, that silver lance Salome is holding is how they get the sample from the bag. They use a cross section sample. 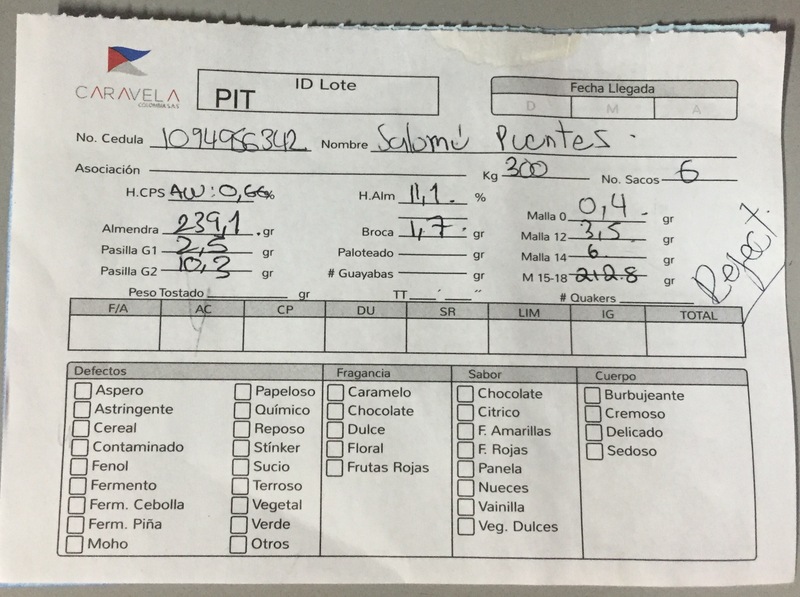 They then calculate the weight loss from parchment. The result of the loss must be less than 20%, otherwise it fails the quality control. 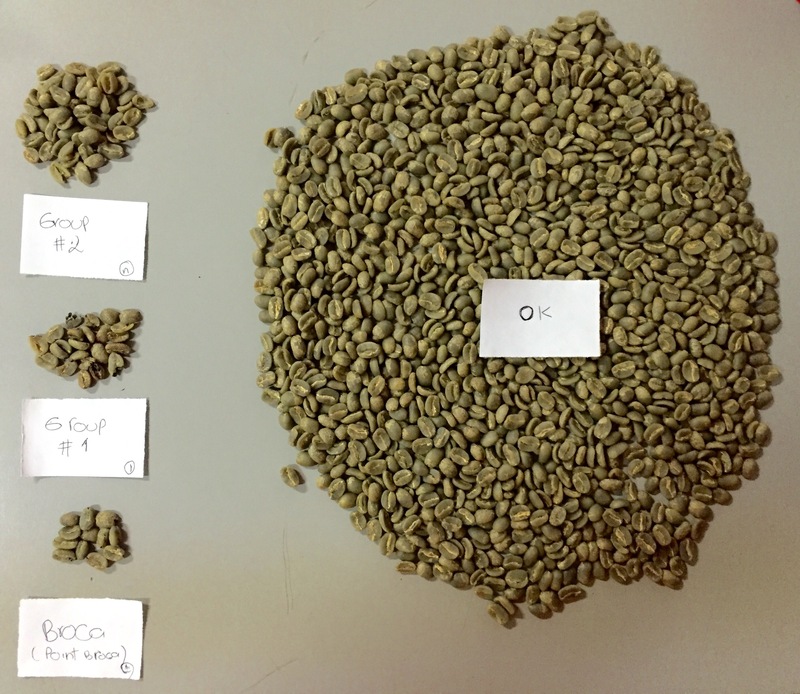 Separated into screen 15+; Screen 13/14 and reflects which are sorted into group 1, (if only one bean of that group is in a coffee it will affect the cup), and group 2 ( 10 beans will affect the cup. Then they manually remove damaged coffee from broca etc. 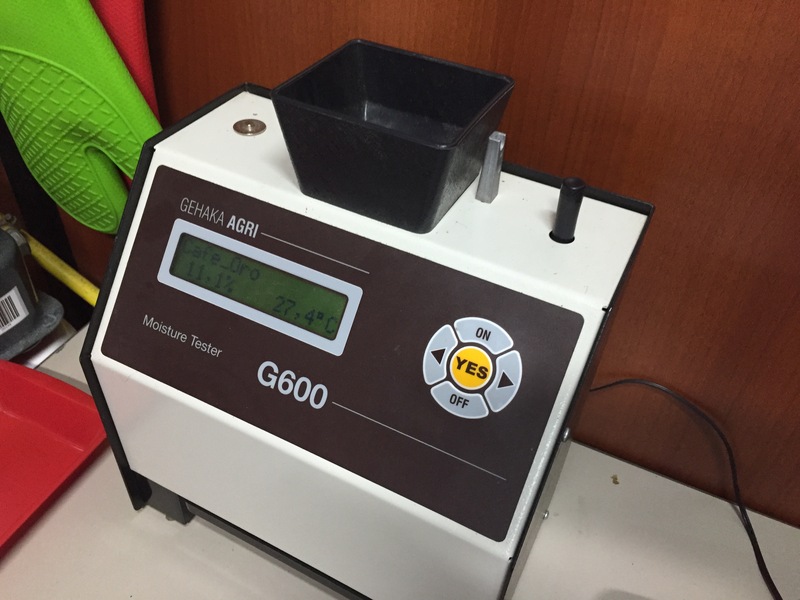 The do moisture test, it must be must be 11%. Then they roast and cup in the afternoon. Then score and reject or accept. And the form is saved and feedback is given to the farmer / producer. 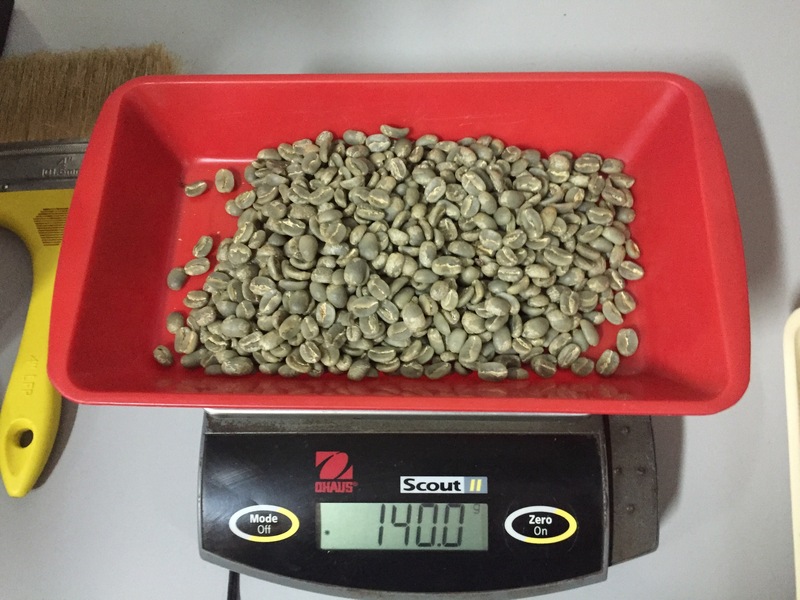 The one above had no cupping score since it was rejected before roasting.